Pop punk is alive and kickin'. Tampa-bred four-piece, Set It Off, have proved to be the true purveyors of pop punk. Getting their start back in 2008, lead singer Cody Carson began to exchange Youtube videos with All Time Low frontman Alex Gaskarth, who green-lighted him to open up for his band at a show in Cleveland. This ultimately gave Carson the guts to pursue music full-time, and thus—the band was born. Eight years later, Set It Off have released their third studio album, Upside Down, which features 12 tracks filled to the brim with the angst-filled lyrics and fast-paced vocals that have the ability to pump us up at the drop of a dime. In support of the October 7 release, the "Why Worry" rockers have hit the road, and lucky for us, we were able to witness the madness for ourselves when they performed in Pittsburgh at Stage AE on October 16. Cody, Maxx, Austin, Dan, and Zach put on an intimate performance for the fans, resulting in some serious fist pumping, head-banging, and heartfelt sing alongs. 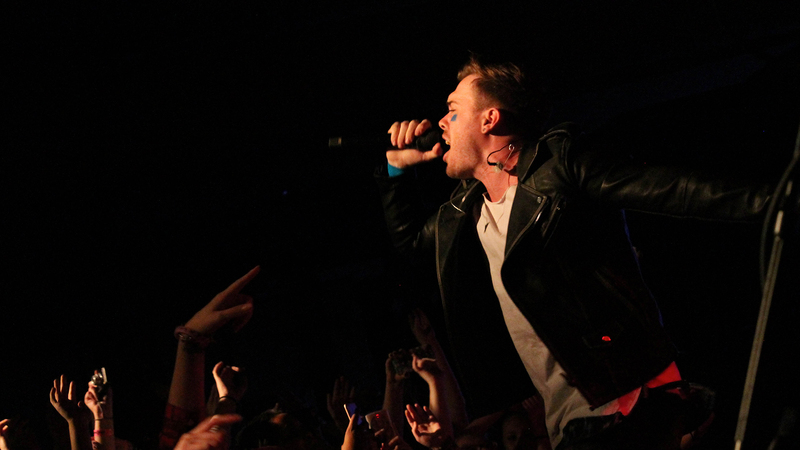 From the moment Cody took off his leather jacket, to the final notes of the last song, Set It Off managed to bring together hundreds of pop punk fans from all walks of life. Check out the gallery below to experience the show for yourself, and make sure to track them on Bandsintown so you’ll never miss another one of their live shows!